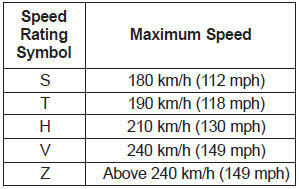 The chart below lists many of the different speed ratings currently being used for passenger vehicles. 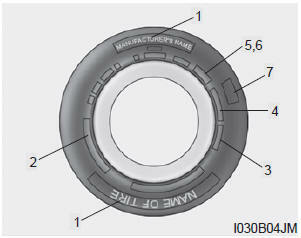 The speed rating is part of the tire size designation on the sidewall of the tire. This symbol corresponds to that tire's designed maximum safe operating speed. The traction grades, from highest to lowest, are AA, A, B and C. Those grades represent the tires ability to stop on wet pavement as measured under controlled conditions on specified government test surfaces of asphalt and concrete. A tire marked C may have poor traction performance.